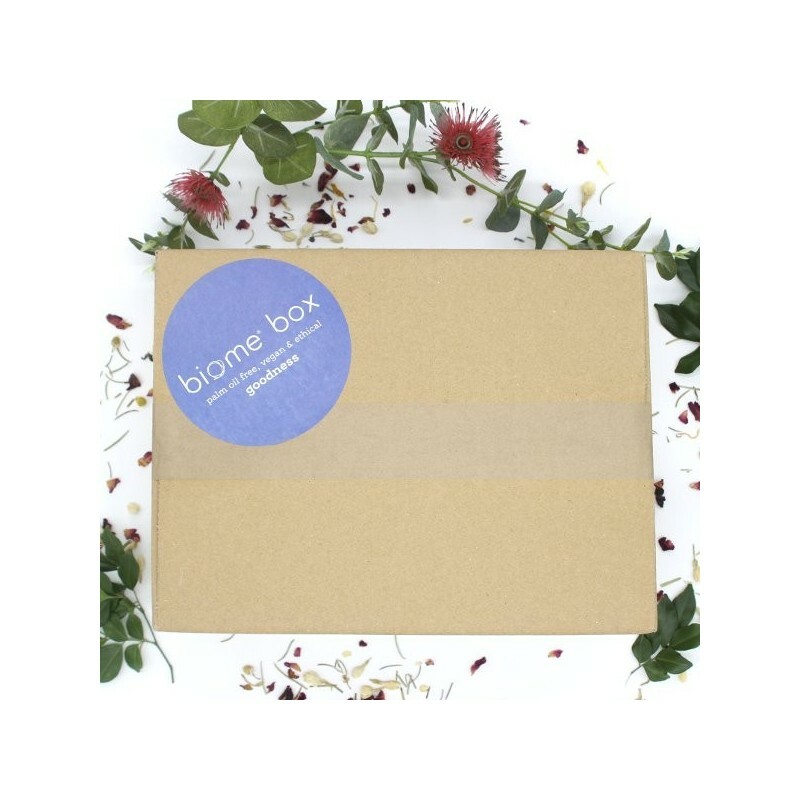 Being certified free from palm oil at Biome, our boxes are naturally free from palm oil as well as cruelty free and vegan. Ours is more than a "beauty box", it's a Lifestyle Box! 4 box subscription gives you 5% off, plus every box ships free to you. More than $280 value. A great gift idea that lasts all year! Buying this product = 113 Reward points for Members. Your cart will total 113 points = voucher of $5.65. Not a Member? Join at checkout to claim these points. We are proud of being palm oil free at Biome. Palm Oil Investigations certifies all our products to ensure there is no trace of palm oil, which unfortunately you will find in most natural, vegan, and even cruelty free products. While the contents of our box are always a surprise, you will receive some of our very favourite skin care, zero waste, cleaning, plastic free, and lifestyle products. What an awesome way to be introduced to all the wonderful palm oil free choices that exist. Each box will contain at least $70 value of products and will always be 100% free from palm oil for your peace of mind. Add only this 4 box subscription to your cart. Please place a separate order for any other products you would like now. If other products are added, we will contact you to pay shipping for those items. For the subscription service, we can not accommodate any Special Delivery instructions, nor Authority to Leave, nor changes to the shipping address. Your box will be sent by eParcel to the shipping address used on your first order. Your Biome Box subscription will start with the Autumn March 2019 release. You can choose to purchase a one off box, or buy a year subscription to four boxes and receive 5% off the total plus free shipping on them all (express and international shipping are not available). If you prefer to pick up in store with no shipping cost, please first order online here and select Pick up in store at checkout We will call you as soon as your box is ready to collect in store. If you order this 4 box subscription, every box will be sent to your selected store for pick up. These boxes are one of, if not, the best subscription boxes out there. The variety and quality is outstanding and many of the products travel with me everywhere now. I will be gifting these to friends and family this year too. I subscribed last year and so have had 3 boxes so far, with one to go on my current subscription and will definitely be doing it again. I was expecting a bigger box when it came, but although it's small, it is full of good stuff and I am always pleased to try things I may not necessarily have purchased myself. I love that all the products chosen come well researched by Biome and so I have confidence in trying them and purchasing them again. 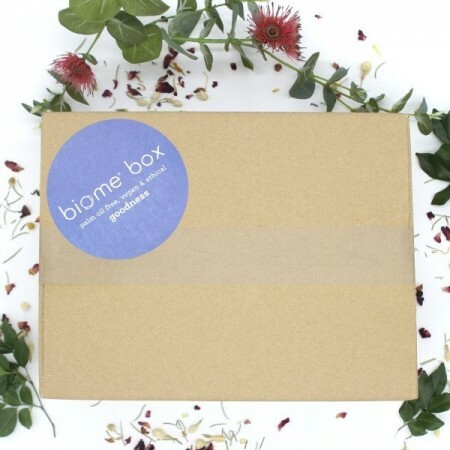 Well done Biome, this has got to be the best subscription box around - good for the planet and good for me and my home. Keep up the great work you are doing for our planet. Got my first subscription box in March and was pleasantly surprised with the contents - this is a great value subscription box with loads of variety and practical items compared to your usual beauty boxes. Looking forward to my next box in June! Highly recommended!